If you're not happy with the amount of 4G mobile data available with your monthly SIM contract, you're definitely in the right place. Virgin Mobile has taken the wraps off a number of blockbuster new deals with triple the amount of 4G data than it typically offers to new customers. The popular mobile carrier, which runs the same 4G infrastructure as EE and offers almost the same coverage nationwide (EE still boasts faster speeds and is accessible in more remote areas than mobile virtual network operators, like Virgin Mobile) is offering a jaw-dropping 120GB of 4G mobile data as well as unlimited texts, and unlimited calls for just £20 a month. That's a frankly ludicrous amount of data each month, especially given that Virgin Mobile offers the ability to rollover any unused 4G onto next month, too. All this means you should have enough data to stream the latest album on Spotify, catch-up on the Netflix series that everyone is talking about, and constantly back-up your photos and videos to your cloud storage solution in the background without even making a dent in your total allowance for the month. This is a barnstorming deal. 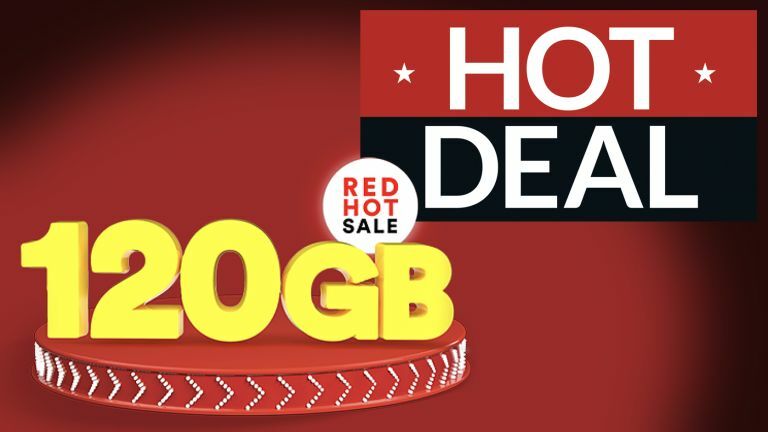 Virgin Mobile has tripled the amount of mobile data typically available with this deal – from 40GB to 120GB. You'll also get unlimited calls, and unlimited texts, too. Bargain.